Elastomer end-milling is attracting attention for its role in the small-lot production of elastomeric parts. In order to apply end-milling to the production of elastomeric parts, it is important that the workpiece be held stably to avoid deformation. To evaluate the stability of workholding, it is necessary to predict cutting forces in elastomer end-milling. Cutting force prediction for metal workpiece end-milling has been investigated for many years, and many process models for end-milling have been proposed. However, the applicability of these models to elastomer end-milling has not been discussed. In this paper, the characteristics of the cutting force in elastomer end-milling are evaluated experimentally. A standard cutting force model and its parameter identification method are introduced. By using this cutting force model, measured cutting forces are compared against the calculated results. The comparison makes it clear that the standard cutting force model for metal end-milling can be applied to down milling for a rough evaluation. K. Teramoto, T. Kunishima, and H. Matsumoto, “Analysis of Cutting Force in Elastomer End-Milling,” Int. J. Automation Technol., Vol.11, No.6, pp. 958-963, 2017. 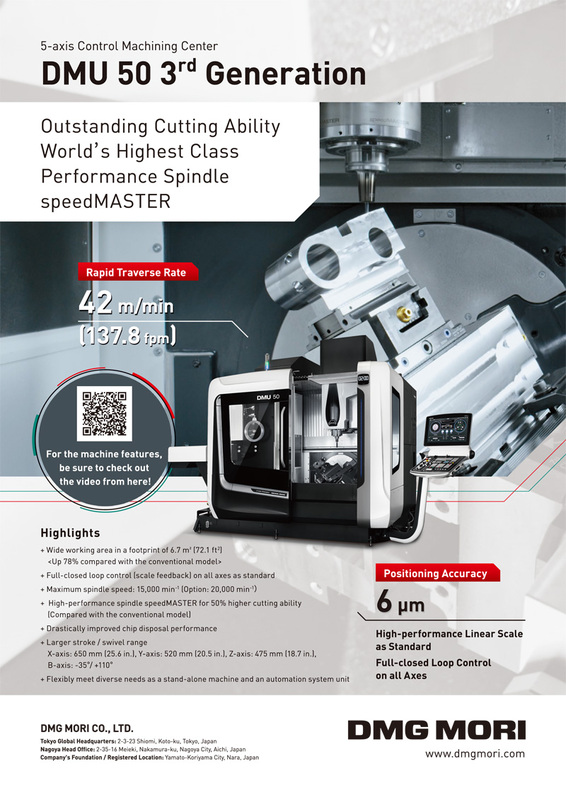 M. Jin et al., “High-Speed Milling of Rubber (1st Report): Fundamental Experiments and Considerations for Improvement of Work Accuracy,” J. of the Japanese Society of Precision Engineering, Vol.64, No.6, pp. 897-901, 1998. (in Japanese). A. J. Shih et al., “End Milling of Elastomers – Fixture Design and Tool Effectiveness for Material Removal,” J. of Manufacturing Science and Engineering, Vol.126, Feb, pp. 115-123, 2004. A. J. Shih et al., “Chip Morphology and Forces in End Milling of Elastomers,” J. of Manufacturing Science and Engineering, Vol.126, Feb, pp. 124-130, 2004. K. Teramoto et al., “A framework for machining of soft objects,” Procs. of the 5th Int. Conf. on Leading Edge Manufacturing in 21st Century(LEM21) , pp. 365-368, 2009. K. Teramoto and D. Watanabe, “Analysis of Machining error in soft objects end-milling,” Procs. of Int. Symposium on Flexible Automation 2010, CD-ROM, 2010. Y. Kakinuma et al., “Ultra-precision cryogenic machining of viscoelastic polymers,” CIRP Annals, Vol.61, No.1, pp. 79-82, 2012. S. Tsurimoto and T. Moriwaki, “Experimental Study on Cutting of Silicon Rubber under Hydrostatic Pressure,” J. of the Japan Society for Precision Engineering, Vol.78, No.9, pp. 782-786, 2012 (in Japanese). M. Putz, M. Dix, M. Neubert, and T. Schmidt, “Mechanism of Cutting Elastomers with Cryogenic Cooling,” Annals of CIRP, Vol.65, No.1, pp. 73-76, 2016. K. Funatani et al., “Dexterous Creation of Soccer-Ball Pattern by Using Urethane Rubber,” Int. J. of Automation Technology, Vol.10, No.2, pp. 239-243, 2016. S. Smith and J. Tlusty, “An Overview of Modelling and Simulation of the Milling Process,” ASME J. of Engineering for Industry, Vol.113, pp. 169-175, May 1991. J. Yan and J. S. Strenkowski, “A finite element analysis of orthogonal rubber cutting,” J. of Materials Processing Technology, Vol.174, pp. 102-108, 2006. N. Takahashi and J. Shinozuka, “Contributions of High-Speed Cutting and High Rake Angle to the Cutting Performance of Natural Rubber,” Int. J. of Automation Technology, Vol.8, No.4, pp. 550-560, 2014. Y. Altintas, “Manufacturing Automation,” Cambridge University Press, pp. 41-46, 2000. H. Naritra, “A Determination method of Cutting Coefficients in Ball End Milling Forces Model,” Int. J. of Automation Technology, Vol.7, No.1, pp. 39-44, 2013. J. Kaneko et al., “Cutting Force Prediction in End Milling with Small Depth of Cut in Consideration of Cutting Situation Change,” J. of the Japan Society for Precision Engineering, Vol.69, No.11, pp. 1605-1609, 2003 (in Japanese).